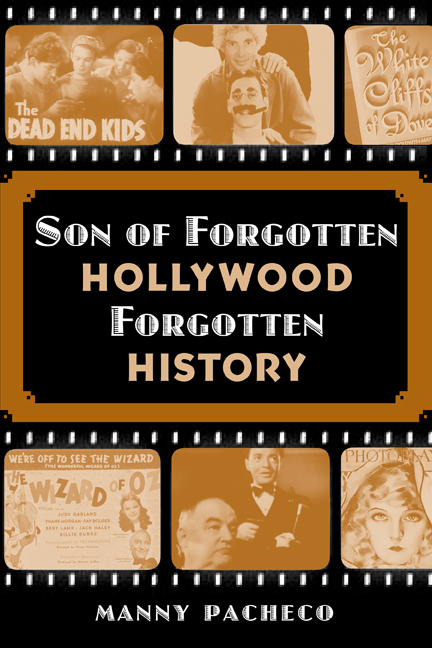 Forgotten Hollywood » Blog Archive » “Forgotten Hollywood”- New Paperback sells 100 in 3 Weeks! « “Forgotten Hollywood”- My New Paperback Now on Amazon! This entry was posted on Tuesday, January 17th, 2012 at 10:43 pm	and is filed under Blog by Manny Pacheco. You can follow any comments to this post through the RSS 2.0 feed. Responses are currently closed, but you can trackback from your own site.